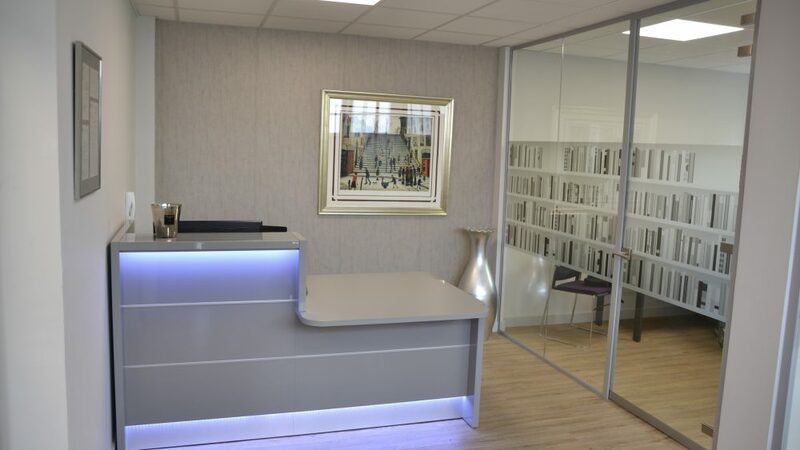 Lynn Murray & Co are a Cranleigh based solicitors firm which covers a wide range of legal matters. Lynn contacted us as we were recommended by her new landlord whom we have worked for in the past. 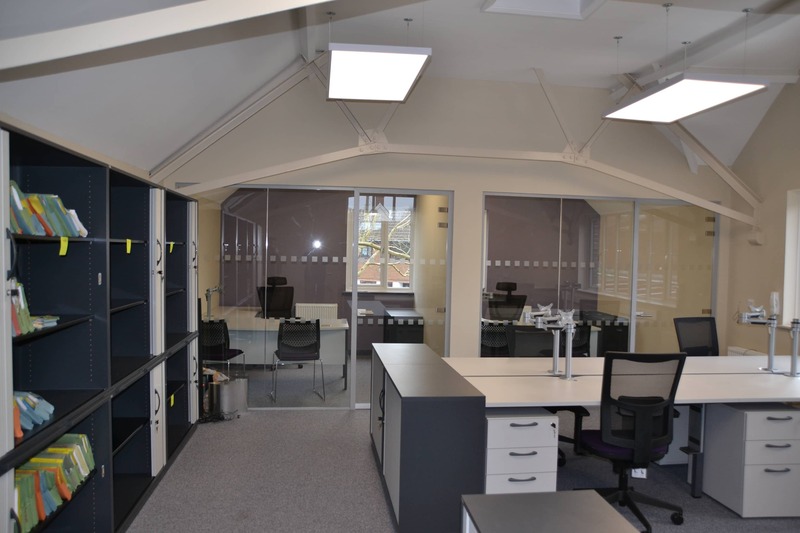 She needed some help with her office move to the redeveloped old St John Ambulance Building in Cranleigh. 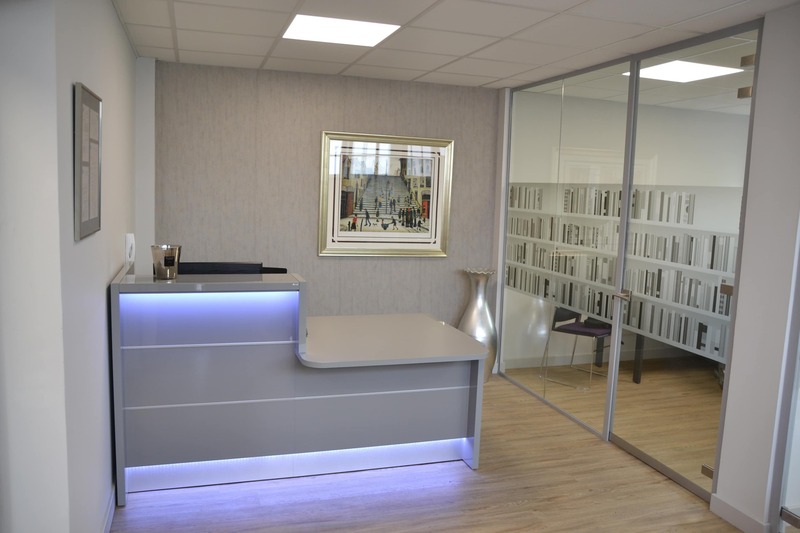 This building was having a high-level refurbishment, and we were asked to supply a quotation and drawings to create three new offices and a meeting room. This work was to be split over both the floors. 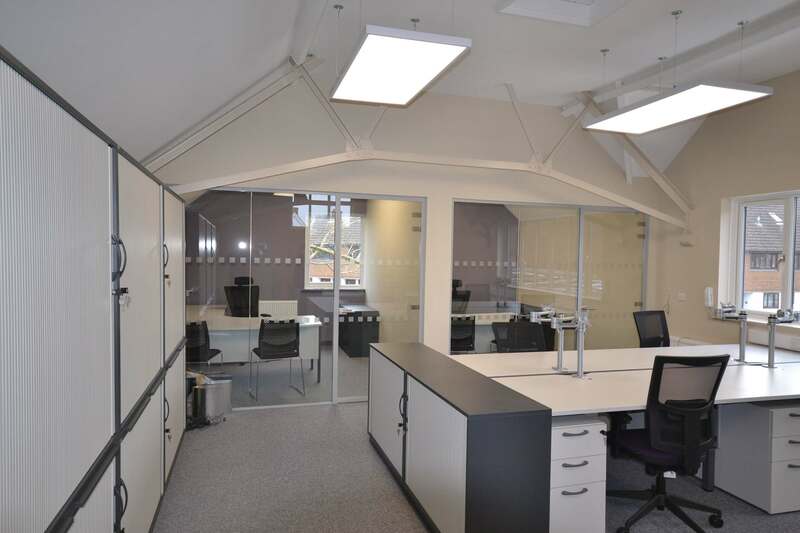 The brief was to keep the environment light, and with a high level of privacy between the offices. 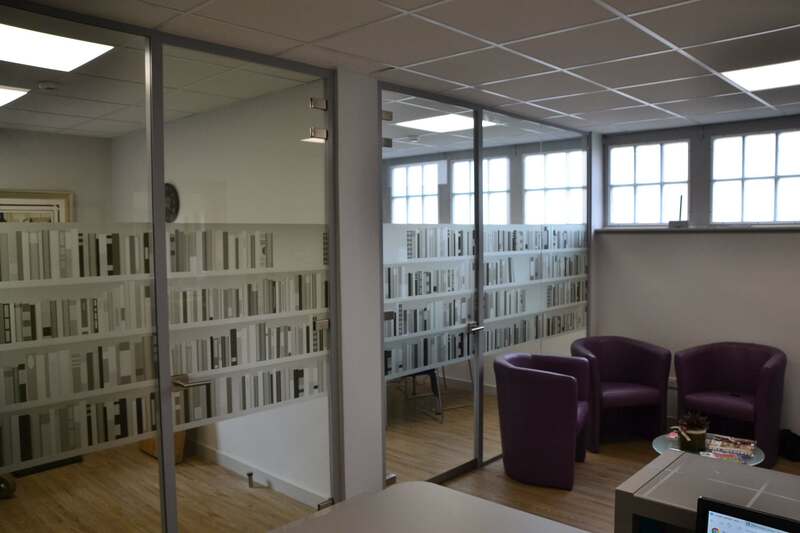 We supplied and delivered a 12mm thick frameless glass partition which incorporated a slim-line doorframe. This housed a full height glass door with drop down acoustic seal; giving the best sound reduction for the budget. On the ground floor, we were tasked with providing a visual barrier within the glass which would give privacy. To give the best image we came up with the idea of some glass artwork in the style of a bookshelf. 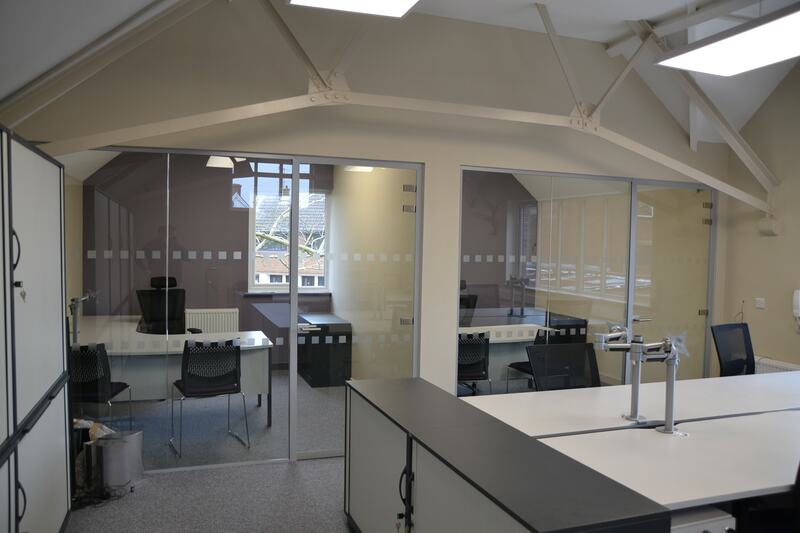 This frameless glass partitioning Cranleigh project was finished on time and within budget and looked amazing; the client was delighted and we were really proud of our creation!